You might remember that talk of SageTV getting a way to use CableCard tuners right? Well, thanks to Andrew known as babgvant, maker of countless Media Center and SageTV add-ons and the well-known DVRMSToolbox the tool to bring CableCard to SageTV is near. And thanks to Mike Garcen of MissingRemote.com fame it’s getting a public workout to see how viable the CableCard/SageTV solution really is. Mike isn’t sharing too much yet, but he does have a screenshot showing SageTV tuning an HD channel being recorded by his ATI CableCard tuner with firmware 1.9 installed on a Windows 7 Home Premium 64bit computer. I’m anxiously waiting to hear more about this as I haven’t acquired that CableCard tuner I had hoped to “borrow.” Once the Ceton comes out this could be a very big deal. We’ll delay the availability of new DVD/Blu-ray releases to Netflix users if you (the studio) gives Netflix a 50% discount on said movies. Netflix sees this as an option for them compared to their competitors like Redbox and Blockbuster because they “aren’t as dependant on new releases”, but I see this as a definite lowering of Netflix value from a consumer perspective. If they take this tact, I would definitely consider other options for my movie rentals. The problem is this. If netflix does make such a deal, they’re big enough that the movie studios just might make that the standard and force consumers to buy those new releases or wait for the delayed window – and this would be at all movie rental locations – not just Netflix. To keep up with other media gadget deals follow GeekTonicDeals.com or better yet, add it to your RSS Reader or follow GeekTonicDeals on Twitter. I’m prepping GeekTonicDeals to follow the best deals for the coming holiday season so stay tuned. Barnes & Noble plans to beat Amazon to the punch a bit by selling their eBooks to Canadian customers by this December. 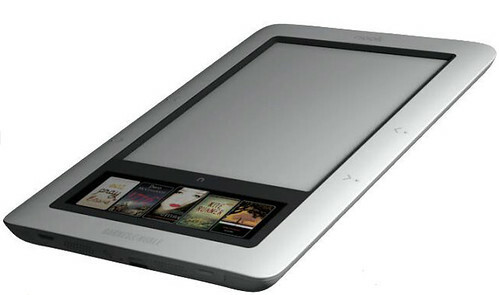 This includes of course eBooks for their new eReader, the Nook. Amazon released it’s Kindle for PC app this morning. It’s available for download at Amazon.com now and allows you to read Kindle eBooks on your computer. This is the same app we told you about last month but is now available for you to download. 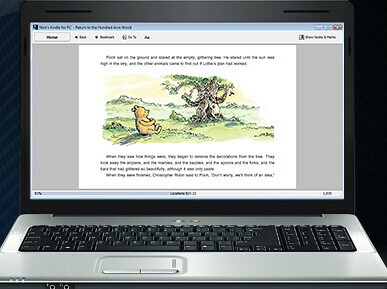 The software install is very fast and the application opened quickly as well listing out all of our Kindle eBooks. An interesting note – it supports color. Newspapers, magazines and blogs aren’t supported yet at least. A Mac version is reportedly coming very soon as well. 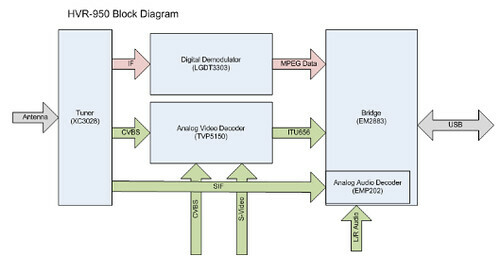 I would venture a guess that many GeekTonic readers own at least one TV tuner for their HTPC – or would like to have one at least. But if you’re like me, you probably don’t really know much about how those TV Tuners really work. A very “techy” site I follow called kernellabs focuses on linux, and the audio/video drivers to make media devices work with Linux. Kernellabs has a great article that crosses over into the engineering side of things and does a great explanation of how tuners work. It’s a great introduction into how the tuners are built giving you a better understanding of what it takes to work with those drivers. Apple really screwed up on this one. There appears to be a major issue with the AppleTV software version 3.0 that can potentially cause your media to disappear after a while. 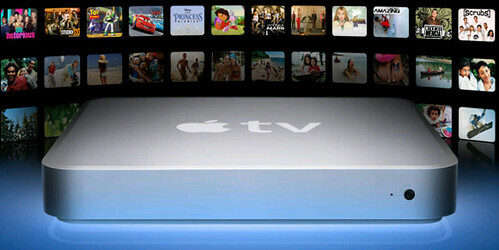 If you have AppleTV software version 3.0, you should restart your AppleTV and upgrade to version 3.0.1. Congratulations to GeekTonic reader “Brian S” who won the GeekTonic PopcronHour C-200 Giveaway (Head here for the review of this media player). Brian was chosen out of nearly 270 entries – some via comments to this blog and some via twitter as per the rules. The winner was chose at random with the assistance of random.org. I’ve confirmed with Brian S that he still wants the PCH :) and it will be shipped his way this week. Thanks to all who entered and a special thanks to the PopcornHour Team for providing the keyboard for review and for the giveaway. 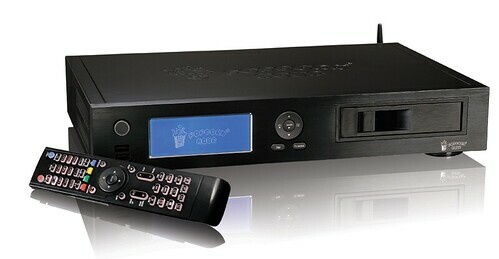 Even if you didn’t win, you can pick up this nice, media player at the PopcornHour Store. I have a few more reviews coming and even a giveaway or two so stay tuned for more. Over the weekend Microsoft released the CableCard firmware update for Windows 7 MediaCenter which relaxes DRM for recordings in a big way and adds support for SDV. The update arrived as the “ATI Digital Cable Tuner 1.19.12.09050155 firmware” which is available to all of those with the ATI CableCard tuners via Windows Update. 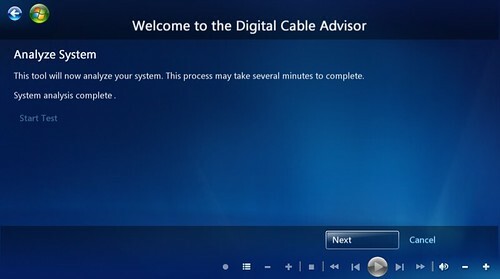 Next, Microsoft pushed out the Digital Cable Advisor app which allows those CableCard tuners to work with any PC as long as the given PC meets the minimum hardware requirements. 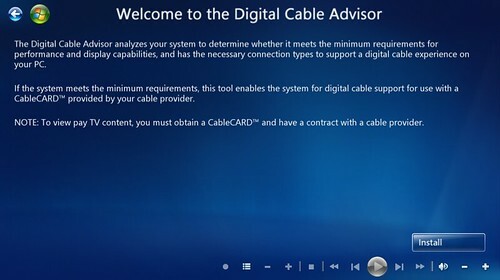 The Digital Cable Advisor tool checks your computer to be sure it meets those minimum hardware requirements and is capable of a successful CableCard viewing/recording. It measures system CPU speed, RAM, graphics card support for hardware acceleration, and digital connection capabilities. 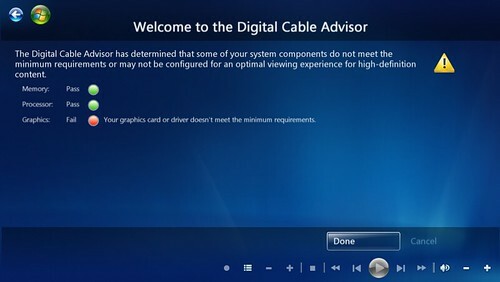 If your PC meets the minimum requirements, it enables digital cable functionality on your PC (CableCard tuner and connection from your cable company required of course. 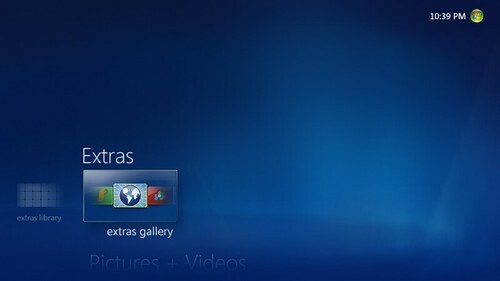 Once you have it all set up, you’ll be able to use your Windows 7 computer’s MediaCenter HTPC app to access cable pay-TV, including premium content. 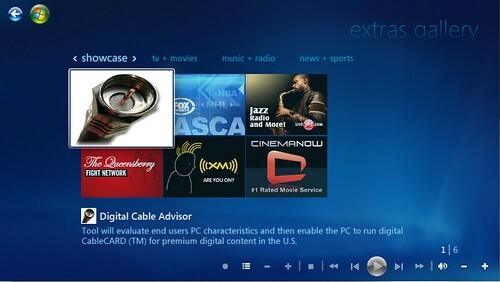 The Digital Cable Advisor downloads a program onto your PC and then runs a set of tests to ensure your computer is CableCard – capable. Once the tests have been run, it provides a reportcard of sorts showing you if the main areas passed the test or failed. As you can see in the screen-shot below, my test PC passed for memory and processor, but not for the graphic card. A very easy to follow process! I’m hoping to try this out with a borrowed CableCard tuner soon. In the meantime I’m looking forward to seeing the Ceton multi-tuner arrive. The Second Digital Transition – A great read by a guest blogger on GeekTonic – with much more to come from him. Month in Review – October 2009 – last month was by far the best month traffic-wise for GeekTonic ever.